By now we all know Red Bull is about every where when you start to talk Bmx, and has been quiet supportive of the Flatland. 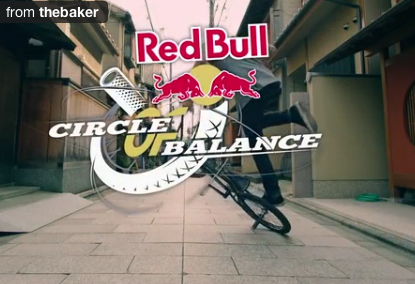 Latest event in date was the Red Bull Circle of Balance 2012 on of the biggest Flatland country, Japan ! Featuring riders from all over the world such as Matthias Dandois, Viki Gomez, Terry Adams or Yohei Uchino, and of course many more, the event looked worth the moment, so here are for the pleasure of your eyes the highlights of those mad men on bikes !